Are you setting up a new business? Or you are expanding your business? 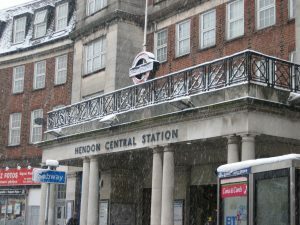 So you must be looking for professional auditors in Hendon Central. Whatever, be the situation maintain accounts and finance is the most tricky job of any company. Miranda Management and Accountancy Services Limited is one of the leading accounting firms in London. As a businessman, you always need to take the right decision in a short span of time. Doing so enables the company to achieve its targets. Achieving temporary targets leads you towards higher goals. If you are looking for the best accounting firm in London then MMAAS is amongst them. Our accountants in Hendon Central are specialized in Financial Management and Accounting Management. We can take care of all your accounting task right from auditing, forecasting, budgeting, monitoring, Investment planning, Payroll, accounts consolidation, and so on. MMAAS accountants are able to solve basic accounting problems as well as the most complex accounting problems. Our team is well updated with the accounting rules, regulations and procedures also with the technologies. Our main aim is to reduce your cost and maximize your profit. So, if you are looking for accountants in Hendon Central then we are the best choice for you. Don’t think much. Let’s join us and be a part of our family.